The XTAR X2 is an dual bay smart quick charger designed for all types of Li-ion and Ni-MH batteries. 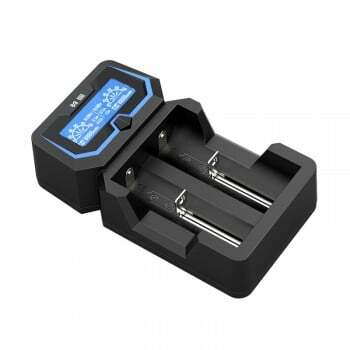 With a max charge rate of 1A for 2 batteries or 2A for a single battery, the X2 is simple to use and fast while maintaining low and cool temperatures. Please Note: The X2 cannot fit protected 20700/21700 cells.